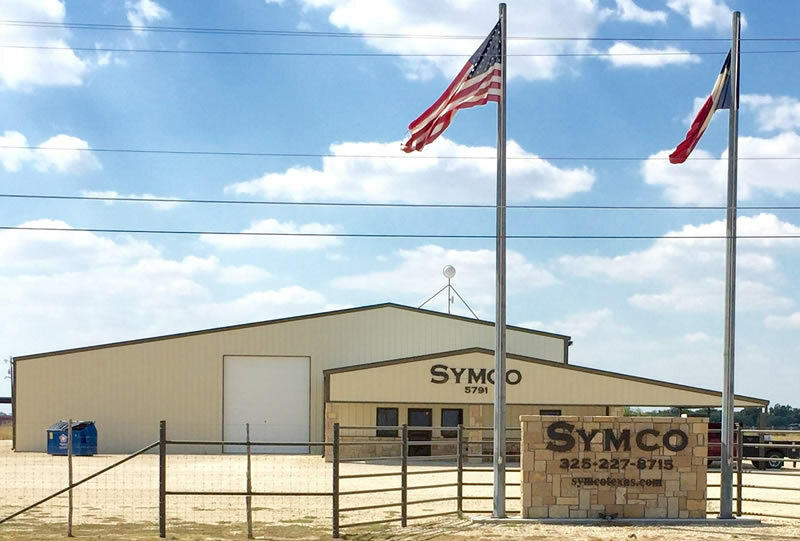 Symco Structural | About Us | General Contractors serving San Angelo, TX. and all of Texas! Symco Structural was created in 2006 when McCrea Stephens Services joined forces and merged with Matt York Construction to form a three way partnership between Matt York, Ross McCrea, and Josh Stephens. The company name was coined when the idea of using the first initial of each owner’s last name and Co for company were put together to make the acronym “Symco”. Matt gained experience in the construction business early in life working with his grandfather and then later for other contractors. Through these years, he learned various trades and eventually established himself in the role of project foreman for a steel building contractor. This position founded the base of knowledge from which he would draw from to begin his own successful company in 1996, Matt York Construction, Inc.
Ross and Josh gathered their construction background throughout their youth working with their fathers and continued working and learning trades through their college years. Shortly after graduating from Texas A&M University, the two of them formed McCrea Stephens Services, LLC. This company primarily focused on the ranch improvement sector. In the ensuing years, McCrea Stephens and Matt York had the opportunity to collaborate on various projects. A natural fit was discovered and it was evident that merging the two businesses would be beneficial to all. Since 2006, Symco has continued to steadily grow in size and capability to where we are today. We have grown from a one-crew company into a diversified business that has the ability to service the State of Texas in the areas of concrete work, steel buildings, fencing, water storage tanks & troughs, and general contracting. Each division of Symco takes pride in their work and has established a reputation of quality.